In the United States, alcoholism amongst seniors has slowly been on the rise for the past few decades. Often the warning signs of alcoholism – anxiety and mood swings for example – are misdiagnosed as signs of depression. 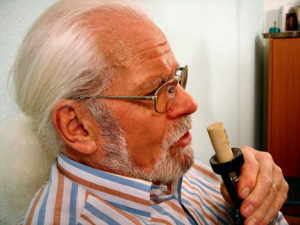 Senior citizens are rarely subject to substance abuse screenings during their annual physical exams which makes it that much more difficult to detect a possible drinking problem. Due to the fragility of advanced age, senior citizens are often hit hardest by the effects of alcohol abuse. As a senior citizen, the best way to truly escape the grip of alcohol addiction is to seek treatment and stop drinking. Many rehabilitation centers are equipped to specifically treat seniors who abuse alcohol. You typically wouldn’t associate alcoholism with the elderly, but there are a number of reasons why someone in their golden years would abuse alcohol. It’s no great secret that life grows increasingly difficult to navigate the more you age. Life changes such as deteriorating health, financial woes, and the deaths of old friends and loved ones often play a significant role in senior alcoholism. Because alcohol is a depressant, endorphins are released when it’s consumed which allows the user to experience feelings of happiness and pleasure. While the effects of alcohol can allow you to escape painful realities, dependency can eventually set in which could lead to a wide variety of problems that affect not only the user, but also their friends, family, and caretakers. Alcoholism doesn’t discriminate when it comes to faith, ethnicity, or age – everyone is susceptible to problem drinking. With that being said however specific factors such as medical history, gender, and chronic drinking earlier in life can all increase the likelihood of a senior citizen abusing alcohol. More than two-thirds of seniors who abuse alcohol are considered to be chronic drinkers (individuals who drink excessive amounts of alcohol on a regular basis). Often chronic drinking starts when an individual is young and can persist throughout their life until they reach old age. Many individuals may even achieve sobriety but may relapse for any number of reasons during their golden years. Caregivers, friends, and family are typically the first people to recognize the destructive drinking habits of a loved one. 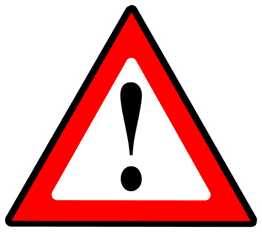 When warning signs are ignored or simply dismissed dangerous consequences may occur as a result. Why is alcohol especially dangerous for seniors? As we age our metabolisms naturally begin to slow down. Therefore, when a senior drinks, their bodies typically aren’t capable of metabolizing alcohol at a “normal rate.” The longer alcohol sits in a senior’s system the more damage it can do. Sadly, even a small amount of alcohol in asenior’s system can cause significant damage. The dangers of alcoholism amongst seniors are often two-fold. First, seniors must consider how excessive drinking can affect their aging body. Second, seniors must consider how alcohol can impact any prescription medications they may be taking due to health complications. When certain medications are mixed with alcohol a variety of complications may arise. Seniors who take antidepressants, for example, may deal with side effects such as dizziness, nausea, blurred vision, and drowsiness. When these medications are mixed with alcohol, these side effects are often amplified and could lead to liver damage, high blood pressure, and dangerous falls. When it comes to seeking treatment for alcohol abuse, elderly patients tend to experience a higher rate of success of recovery than those who abuse alcohol in their younger years. This is often due to increased family support and greater access to financial resources. The stigma of alcoholism, however, often stops senior citizens from seeking the help they so desperately need. The recovery process is never quite the same from person to person. Factors such as length of time required for recovery, the severity of dependence, current health status, age, and other like factors all play a role during the recovery process. The first stage of recovery begins with detox which involves purging all alcohol from the body. During this period patients will experience potentially dangerous withdrawal symptoms. This can be a critical time for anyone recovering from alcohol addiction, so it’s vitally important that individuals reach out to a detox center where they can be monitored by treatment specialists. After the detox period, seniors can transition to therapy that will aid in long-term sobriety. This includes counseling and joining support groups such as AA and Al-Anon. Often the battle to maintain sobriety can be just as difficult as overcoming an excessive drinking habit in the first place. It’s never too late to reach out for help no matter your age. Think about how your drinking habit affects your friends and family. Just as importantly, think about how you’re destroying your own body. Your golden years are precious – live them out in good health by dispelling destructive habits.